Part of a designer’s job is to ensure design components are well within their stress limitations, which is a very arduous task and oftentimes leads to taking shortcuts. These shortcuts can range from not doing anything to only measuring certain components—leading to oversights which can manifest themselves as component failures in the lab or the field. It’s the possibility of component failures which can lead to undue stress on the designer, and failure to properly evaluate designs can cause parts to experience unwarranted stress. Time and again, it is component failures that affect your reputation and ultimately, your wallet. While most SPICE software can simulate circuits efficiently and show you what the outputs will be, they don’t usually bring attention to components which may be stressed or overloaded. 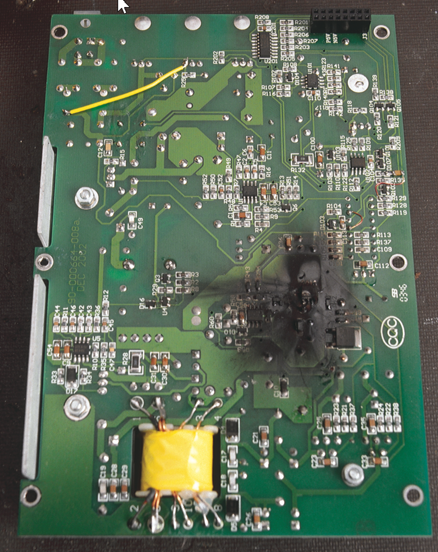 The Smoke Analysis feature in PSpice AA (Advanced Analysis) detects stressed components due to power dissipation, increases in junction temperature, secondary breakdowns, or violations of voltage/current limits across the entire design—keeping you aware of the potential issues which might appear. With this knowledge, you can then easily identify and fix overly stressed components early in the design process avoiding those stressful nights trying to debug unknown board failures. Utilizing the Smoke Analysis feature within PSpice AA provides designers with confidence, knowing they can move the design process forward with components that will be able to withstand the real-world conditions they may encounter. While stress in the workplace can’t always be avoided; component stress doesn’t have to be the cause. Watch the video below for a more in-depth overview on the Smoke Analysis feature.